Otter-the irrepressible picture book character from I Am Otter, Otter in Space, and Otter Loves Halloween!, sure to be adored by fans of Llama Llama-goes to school for the first time! 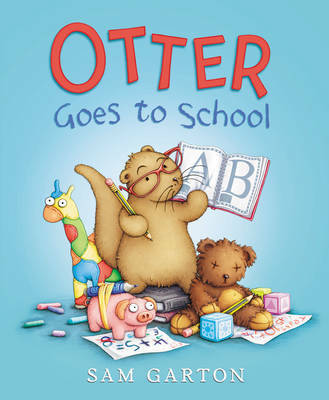 In Otter Goes to School, Otter starts her own school for Teddy, Giraffe, and the rest of her friends. They have a great teacher and do lots of fun things together . . . until Teddy says he doesn't like school anymore. Luckily, Otter Keeper comes to the rescue and teaches everyone the best lesson of all!